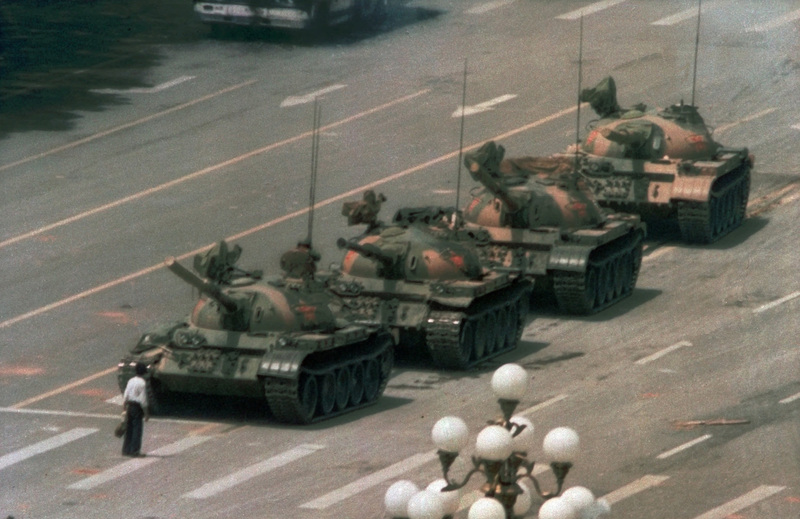 June 5, 1989–In Tiananmen Square, the Chinese government crushed a student-led demonstration for democratic reform and against government corruption, killing hundreds, or perhaps thousands of demonstrators in the strongest anti-government protest since the 1949 revolution. Ironically, the name Tiananmen means “Gate of Heavenly Peace”. This entry was posted in History and tagged People's Republic of China, Tiananmen Square. Bookmark the permalink.